The Bumper Force is ready to tackle any action packed adventure your child has and unleash their inner hero! It comes with detachable stabilisers, so it's ideal for getting to grips with cycling. 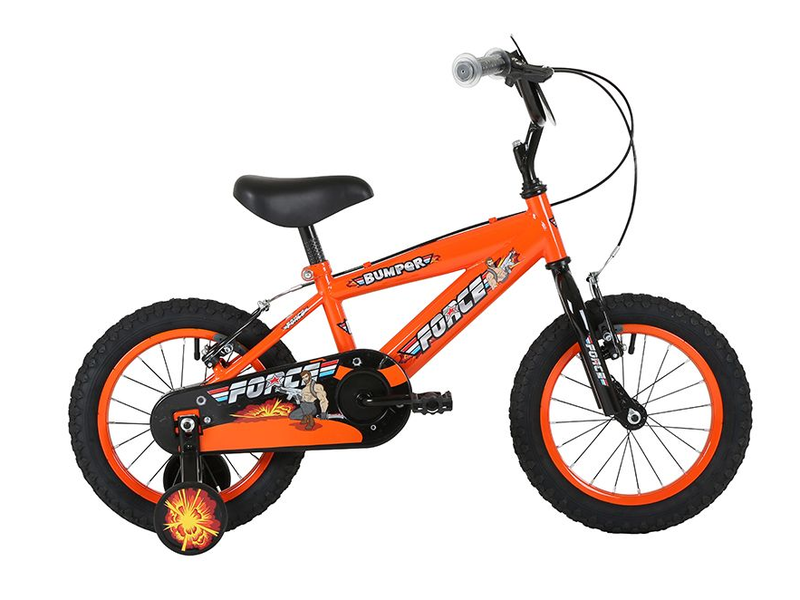 Safety features include non-slip pedals and a fully enclosed chainguard to protect your childrens fingers. It has a strong hi-tensile steel frame and rigid fork for long lasting use. Powerful V brakes provide excellent stopping power in all conditions, controlled by adjustable reach brake levers.